All of our rings in this category are on our BLOW OUT sale! They are 50% Off, discount is automatically taken at checkout. Once these rings are gone they will not be coming back this is your last chance to get the deal of the year. 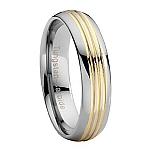 Sizes and styles shown are what is available, the returns and exchange policies still apply as normal with these rings. Why not take advantage and add an extra ring to your collection or save some money on that ring you have had your eye on.